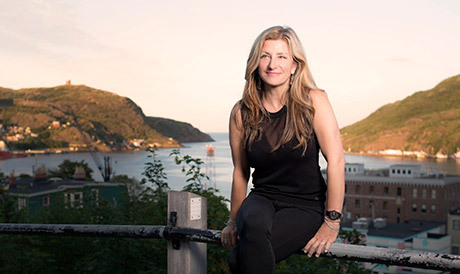 Kim Stockwood is a born entertainer, an accomplished songwriter and a successful recording artist. Her career includes multiple hits both as a solo artist and with trio, Shaye. Kim’s most recent recording, Back to the Water, was a tribute to her beloved Newfoundland and garnered the ECMA that year for Roots/Traditional Recording. Whether she’s performing onstage, as a radio host, or on tv, Kim captivates audiences with her talent and charm. Her latest record, Sometimes The Moon, recorded with Bill King, will be released on October 20th, 2017 on Slaight Music.